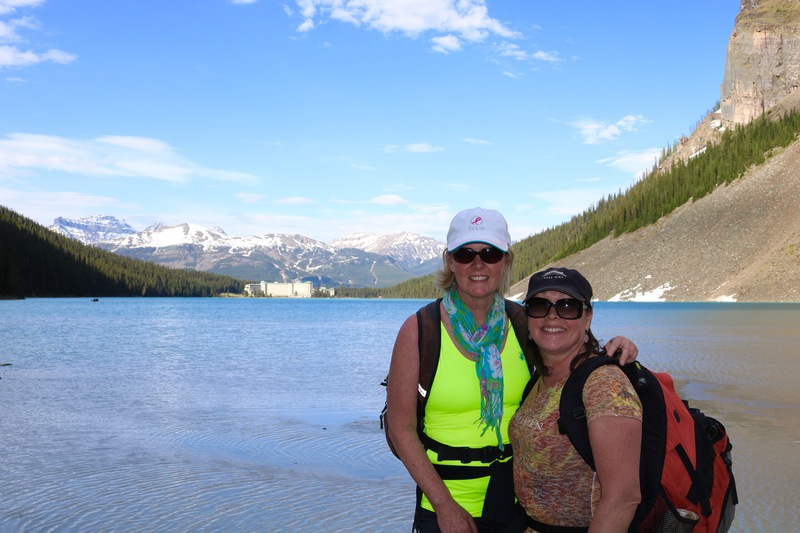 This entry was posted in Uncategorized, Wanderlust and tagged Canada Tourism Commission, Friendship, good therapy, Lake Louise, Women's Health. Bookmark the permalink. 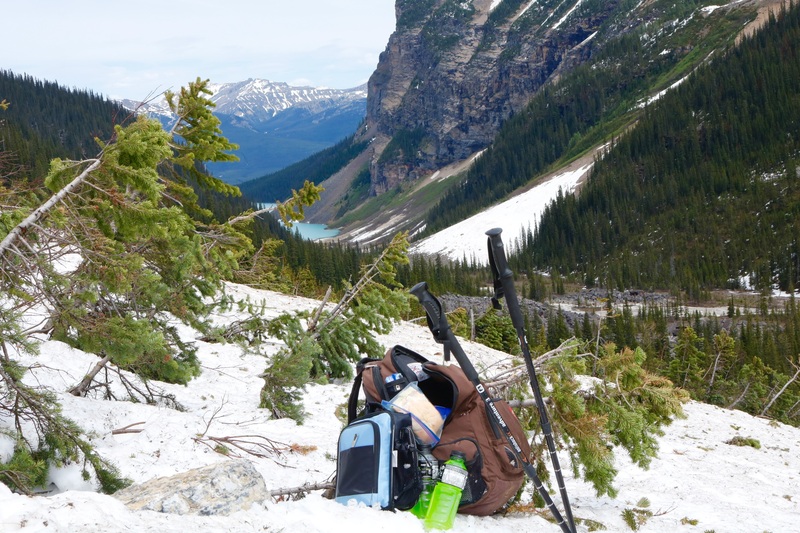 We visited Banff and Lake Louise in early April. It was a work event, so we didn’t have much free time for anything, except taking some photos. 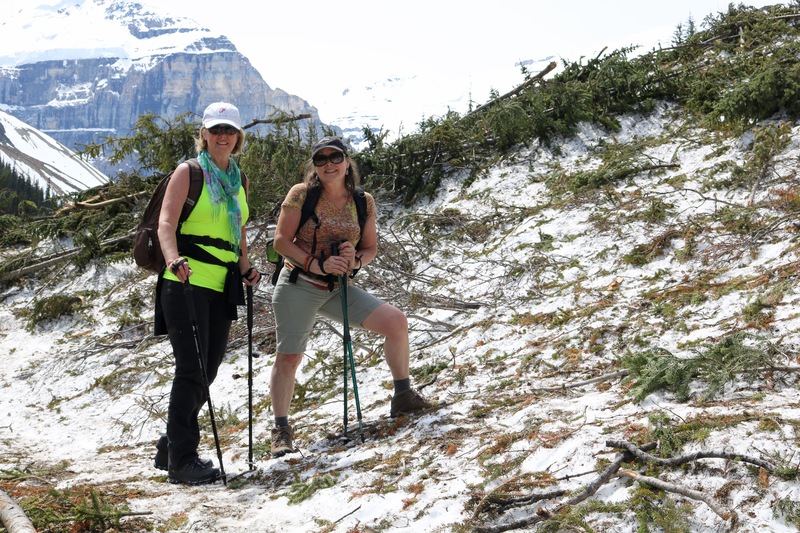 What I remember the most, besides the beauty, was how in April the snow was piled 8′ high beside the one path around Lake Louise that we got to sneak a hike on. Your photos and story make me want to get back there again. So glad that you had a good time. It is such a beautiful area Ally. So much to see & explore. I would highly recommend a trip back when you have more time to visit! To capture a photo of an avalanche in progress is amazing!! What quick thinking on your part. I would have just been standing there with my mouth open. 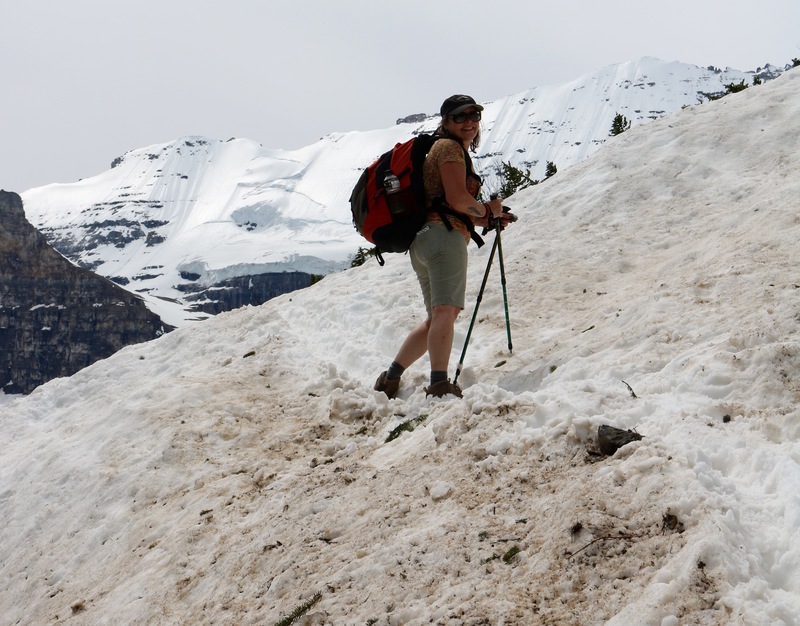 As a teenager on a school trip we were hiking on Peyto Glacier when there was an avalanche on the mountain across from us. The thundering noise and shaking of the ground was both incredible and terrifying at the same time! Thankfully, I had my camera out as I had just taken the shot of us having champagne. I heard the rumbling so made a dash for camera to try to get a shot! Yes, that noise sure does rattle you! Fast thinking on your part! … and a really great photo! Wow! 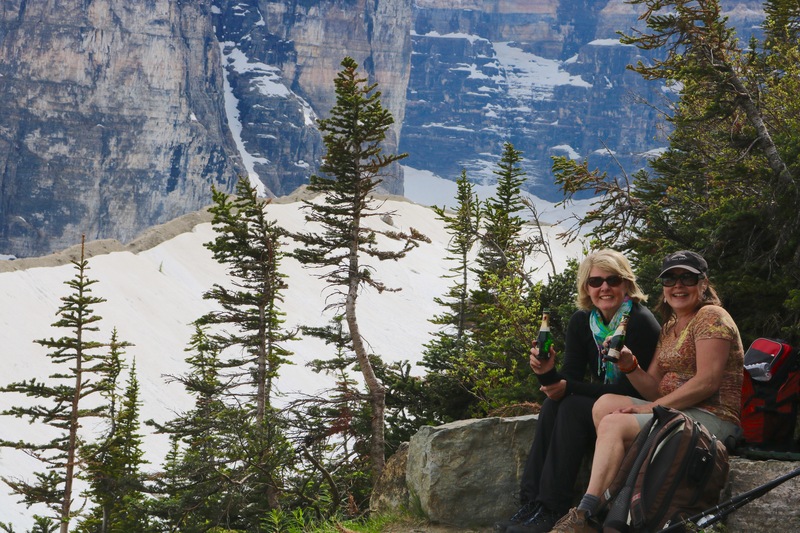 Amazing hike and stunning scenery and then sharing with a friend – doesn’t get much better. 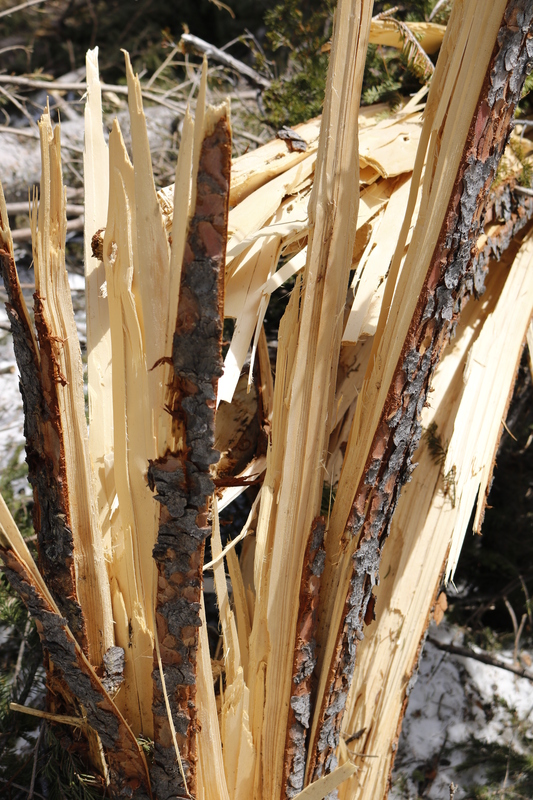 The avalanche thing can be concerning and I don’t think I would’ve continued the hike. Having lived in Colorado, I’m well acquainted with snow in the mountains. Glad you gals had a fabulous day! Beautiful pictures and lovely story of two friends enjoying the day. Wow that looks like a challenging hike. But so beautiful. It was definitely challenging but totally worth the effort! What a spectacular area and an amazing hike! I’m so glad that you decided not to pay attention to the sign. I definitely need to put that destination on my must see list. Your capture of the avalanche is glorious. When we heard that mountain rumbling, we were questioning our decision but it all turned out & we enjoyed a spectacular day! It is such a beautiful area, I have no doubt you would love it! 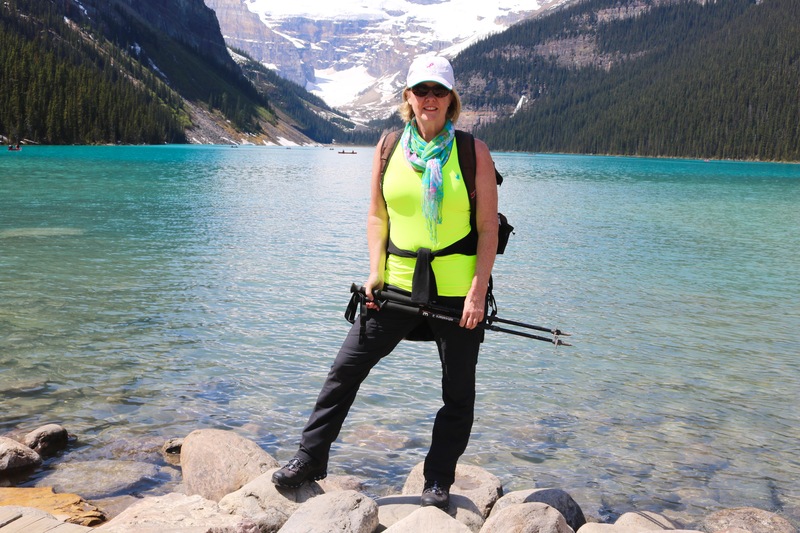 Lynn what a day you had at Lake Louise! Such perfect blue sky photos o We that turquoise gem. We have had the same experience of snow on the hike. The avalanche photo is superb! 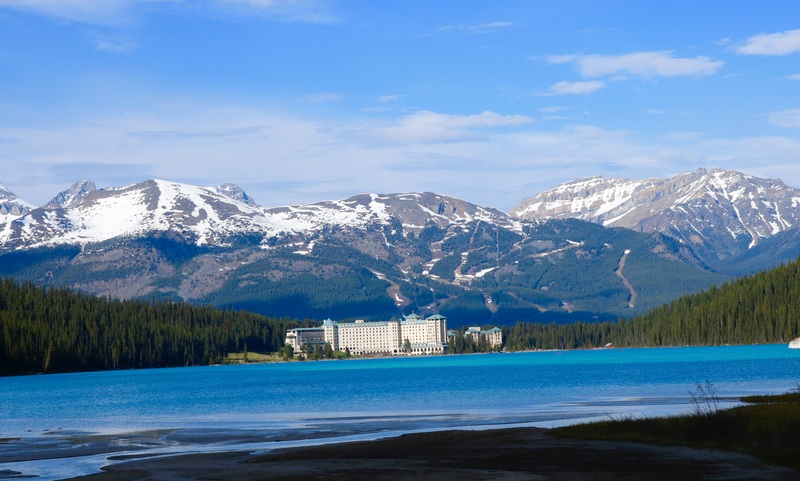 It is hard to capture & describe how beautiful Lake Louise & surrounding area are! I hope yo get back & explore more sooner than later! 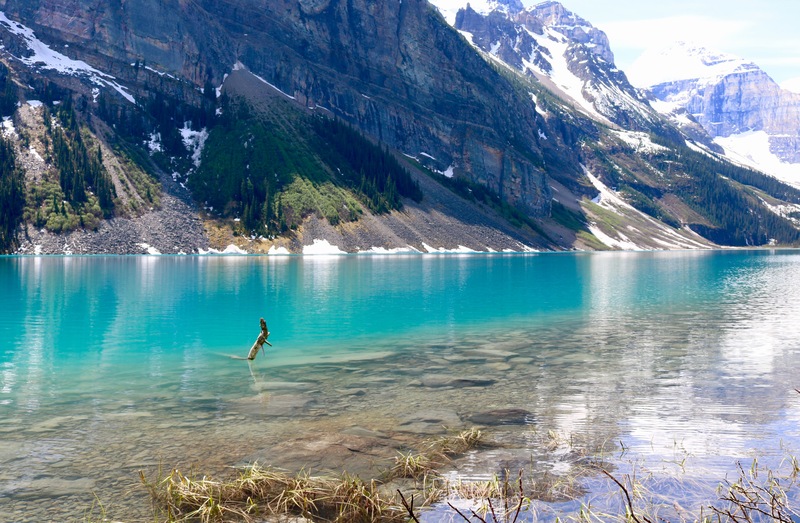 That looks like an amazing hike – your pictures are stunning! Signs like that do give you pause, but sometimes you just go with your gut and then are glad you did. What a wonderful experience. 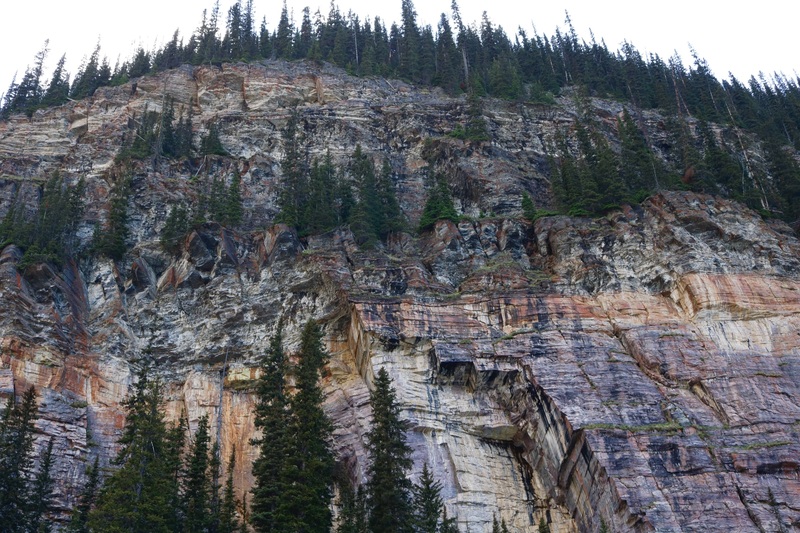 Had we not spoken to the representative at Parks Canada, we might have felt a little more unease but after talking to some fellow hikers, we decided to go for it. It was well worth the effort ! George, I hope you do. 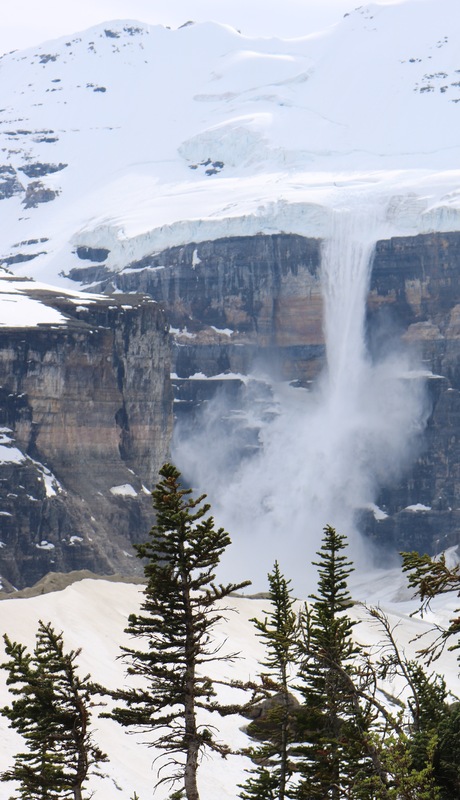 It is an incredible part of Canada to visit! What a gorgeous part of the world! 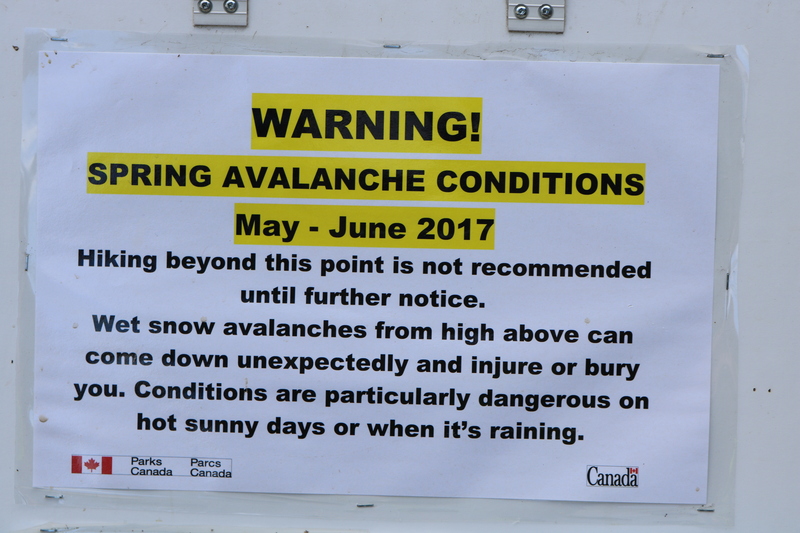 Your photos are amazing, especially the one of the avalanche … I would have been freaked out by that given the earlier signs haha. Good for you, champagne and all! Hiking in style. It did make us a little nervous when we first heard it Peta. 😲 Thankfully it was a good distance from where we were! Goodness! Astounding climb and staggering landscape and after that offering to a companion – doesn’t show signs of improvement. It was an incredible day, that’s for sure! I was wondering about your spring attire while trampling around in the snow…but the views are spectacular. The views were absolutely spectacular, as was the weather! Sunny & a balmy 26 degrees celsius (78 degrees fahrenheit) . Fantastic day! It definitely made us stop & listen, that’s for sure! Thank you so much Jo, I would be honoured! Lynn! What an incredible day you had, with challenge, beauty, and memories with a dear friend. I love that you took champagne, and I love that you captured (but were not captured by!) that avalanche! How many miles did you hike? I actually am not sure how many miles Laurie. I think it was probably only 5 or 6 miles but with the snow, it felt like 20! 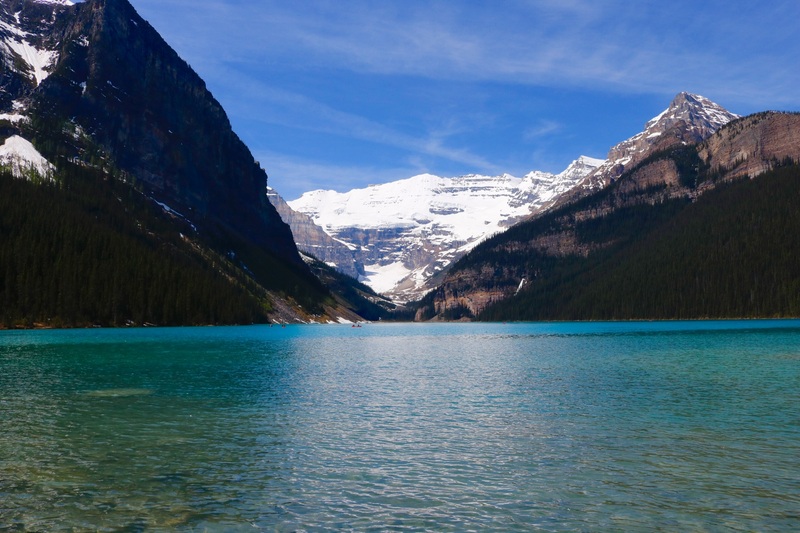 Lake Louise is really beautiful! You are brave!!! It is stunning Jackie! Thank you so much for visiting. Breathtaking scenery. You put me to shame, you are so adventurous! 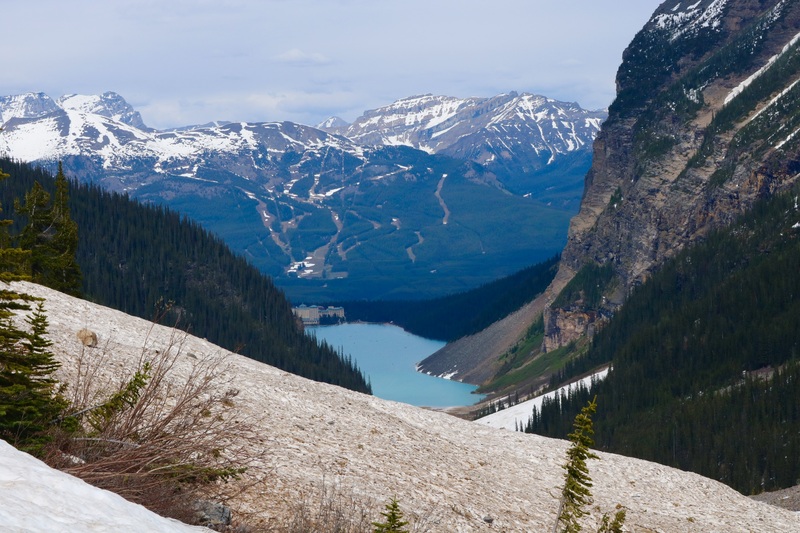 Lake Louise is such a picturesque place, surrounded in gorgeous vistas in every direction you look. 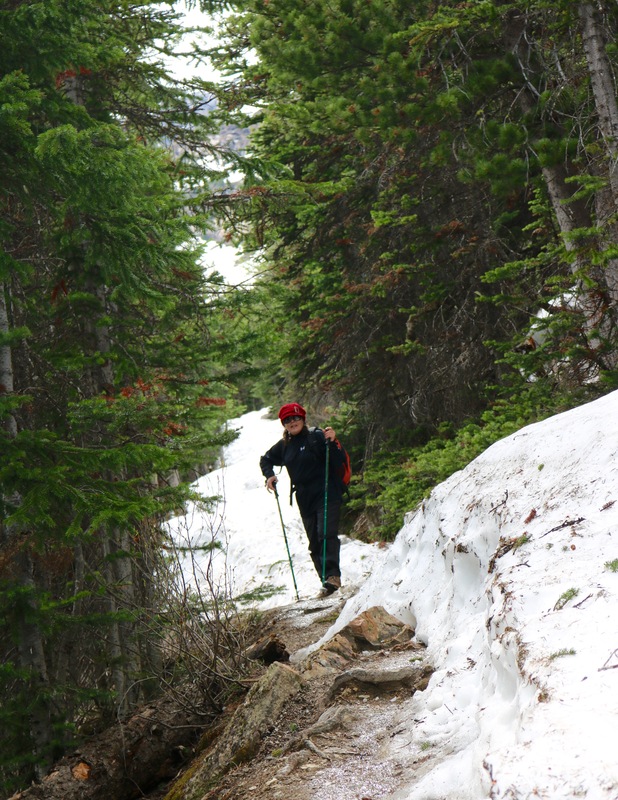 Hiking here is relatively easy but the snow made it a little more challenging! Thank you for visiting!